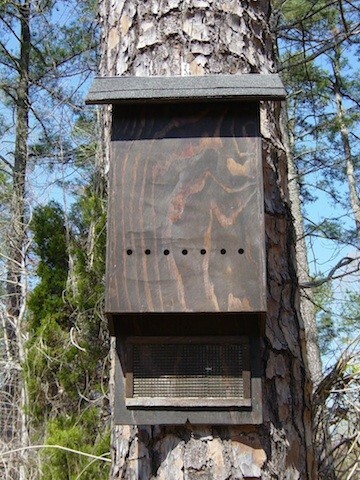 The Bat Houses pictured above are two chambered. They will hold 25 to 50 bats comfortably. Their dimensions are 32" Tall by 13" Wide x 3 1/2" Deep. The unfinished house comes with shingles, rainguard and mounting hardware. These houses measure 36 inches tall, 12 inches wide and 7 inches deep. They have four chambers, are constructed with galvanized hardware and have tar papered roofs sealed with silicone. 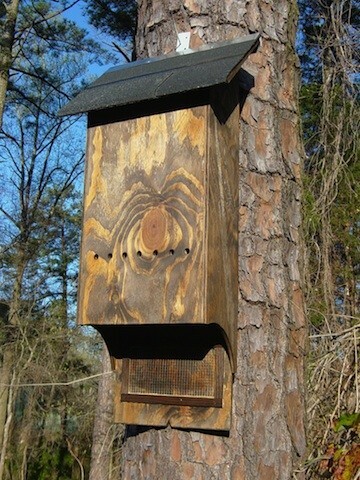 They should last a long time providing all the needed shelter and warmth bats need. We have constructed them to meet the guidelines set forth for wetlands and they have been installed all across the country. However, you may want to purchase just one to see if it meets with your local agents approval before you have us make several only to find your agent wanted them an inch wider or taller. If you have a need for many houses but want to first make sure it will comply, buy just one and let the agents review it for to see if they want any changes made. If we have to make revisions you can return it for full credit with no risk of loss. Once the exact specs are determined and agreed upon, we will be able to make them to spec. Their price may change but we will let you know ahead of time. Though the production may take 2-4 weeks, depending on adjustments and quantities ordered, we are prepared to make them to spec. A second style of this house is available which looks just like the ones featured above except they have four chambers. The dimensions on this house are 40" Tall by 13" Wide by 7" Deep. Shipping weight is 70 lbs. They are available finished in Natural or Walnut. 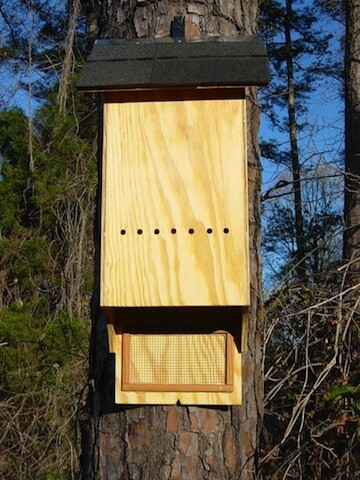 They are also available unfinished with shingles, rainguard and mounting hardware.